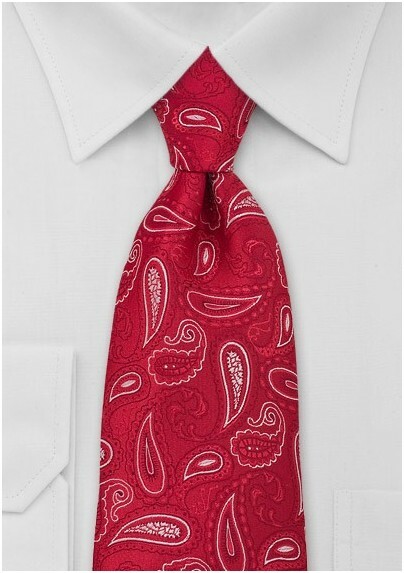 This paisley print tie is sure to bring smiles to faces. This particular print is a toned down paisley leaf and has a graphic sensibility. 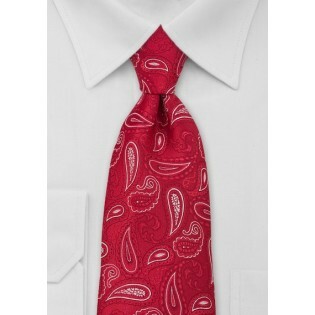 This tie would work well with a black suit and white shirt. For effect, try a white and black striped shirt with this tie and a dark suit. This tie was designed by Puccini and meant to feel like 100% silk. This microfiber is also resistant to stains and wrinkles. The paisley pattern has its roots in India, where the collective mind sees it as a floating lotus leaf. Try this patterned tie with pin strip suits in charcoal or black.